By that definition, my statement is correct. Let me explain… I am olde and I’m getting older… Every day, I set a new personal record for longevity… the building I live in is designed for housing those like me who live on Social Security and little else. The peo ple who live here… over 170 in number, are mostly like me. We draw our social security, we pay 30% of it to the people who run this place as rent and we exist. I am, by far, one of the most active and luckiest here. I have outside interests… I go places… which infuriates some of the residents here… while they just exist. 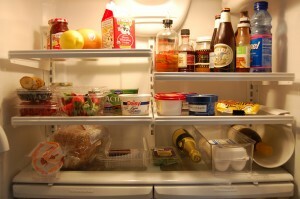 They are the food stored in this refrigerator, waiting until they are old enough to throw away. Invariably, a doctor’s appointment is the highlight of the week for most. Why is this so? The answer is fairly simple, for one reason or another, we don’t have the income to do otherwise! In my case, I walked away from it in a divorce. A house… two businesses, property, investments and a six figure income… Why did I do this? In retrospect, it was pretty dumb, but it seemed the thing to do at the time. The lawyers where planning on dragging the proceedings out until every cent was used up in paying their fees! I didn’t hate my ex… still don’t… but I do intensely dislike greedy people and these people were greedy! So, I told my attorney after the twentieth or so delay that I had had it! I wanted it settled before we returned to court again… and it was… it cost me heavily, but the lawyers didn’t get it! I knew I could survive and that was all I wished to do then. I did not plan on heart problems forcing me off the playing field before I was finished! That forced me into where I am today! Don’t get me wrong, I am HUGELY grateful for what I have! I live comfortably and can afford to eat out once in awhile as well… Most here are not as lucky as I am in this area! I am only going to take a moment here to mention this as it is not the basis for this treatise, but financial planning is ESSENTIAL… a budget is a must! It is a known fact that our lifestyle will expand automatically to fill the size of our income unless we control it! Having the latest model car is never a necessity… it is a luxury. It is a given that our lifestyle will automatically expand to fill our income! If we do not control our expenditures, they will, by default, control US! Have you watched how people shop for a house? They do not go out and find a nice, comfortable home that they can easily afford and buy that… no… they go apply for financing and see how MUCH house the lender will allow them to buy… then that is their goal… often with TWO incomes included in the parameters! Then… someone gets sick and can’t work… and they lose it all… So sad, isn’t it? How do we avoid this circumstance? The first step is simple. Stay out of debt! We really don’t need to drive the latest model when one a couple of years old will do nicely. The only things anyone should ever need credit for are a home and a car… that home should not be financed beyond fifteen years and the car beyond three years… anything more is simply given away as interest! It is a fact, if you cannot afford the payments under those parameters, you can’t afford the unit! Find one that fits the parameters for that is the one that is affordable! 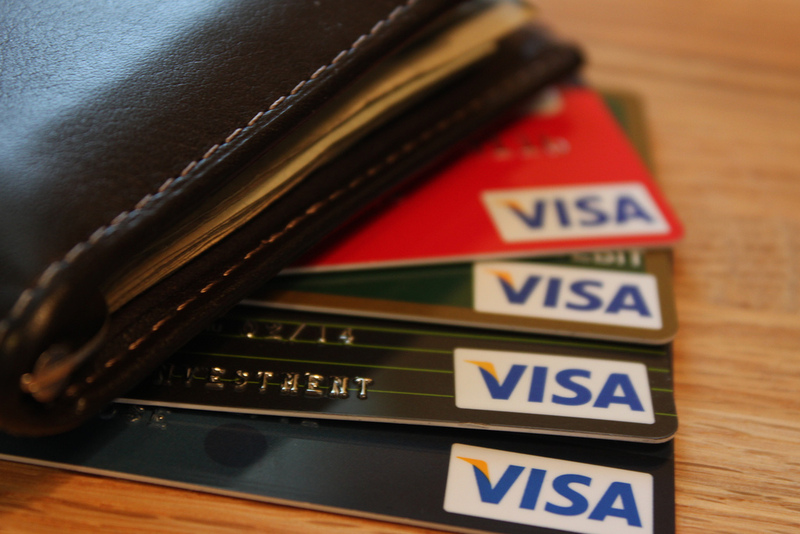 For many years I carried a credit card for emergency purposes. If I ever used it, I immediately deducted the amount from my check book just as if I’d written a check! That way, when it came time to pay the bill the money was automatically in the account to do so! 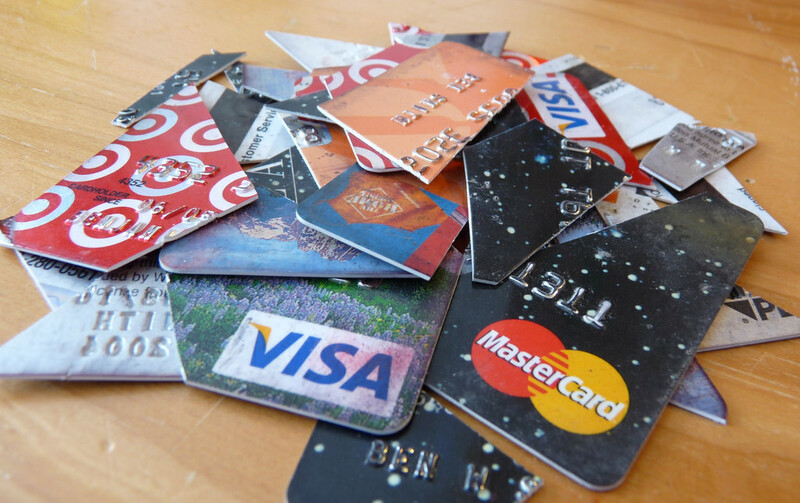 Today, all the credit card companies offer “cash back” if you use their cards. Is anyone stupid enough to believe they are “giving” us anything? They simply raise the interest rate and then give you some of YOUR OWN MONEY back! It’s one of the greatest legal rip offs in the country today… and people fall for it! Credit cards are pernicious! When I was doing counselling in my church, it is unbelievable how many people were head over heels in credit card debt. People had over 30 of these plastic nightmares and many were over $50,000 in debt on just plastic! Of course, paying the minimum payment on each of the 30 would keep them in debt forever! 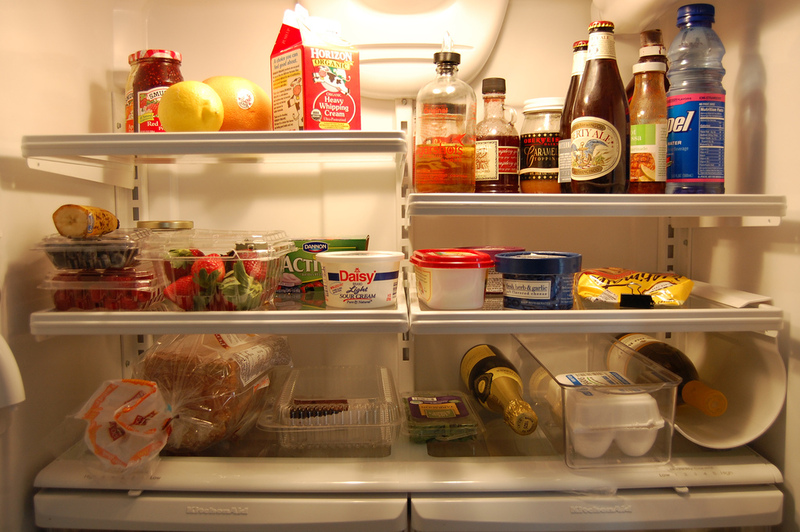 Now, all of this said… how do we avoid becoming human offal in a residential refrigerator? What can we do to insure that we do not find ourselves at an advanced age with a doctor telling you, “if you don’t retire this month, we will be burying you next month or the month after…” as my doctor told me. Believe me, that does tend to catch one’s attention! The secret is simple… put money away… regularly… for your entire working life! How effective is this? I am going to present a scenario using minimums. I am going to assume a forty year old person working a minimum wage job in my own state of Washington who can only set aside 10% of his income for this program. Before anyone states that this is excessive for them… let me say, it is NOT… we will do what we wish to do, be that positive or negative. If we earmark this 10% we will soon not miss it. It will become what we DO… and we will live on what is left… and we will allow our lifestyle to expand to fill that 90% of our income, but we will be planning! Now, let’s run the numbers. As I mentioned, I am going to use minimums in these computations. We are going to take our forty year old McDonald’s worker earning the state’s minimum wage of just over $10 an hour… and round that back to an even $10. That means he will be earning $400 a week gross pay. Of that, $40 per week or $172 per month will be our investment amount. Since our worker is now 40 years old and will be working until he is 70 years old until retirement, he will have 30 years to participate in our program. We will be investing our $40 every week, every month of every year for the entire 30 years… and, this is essential… LEAVE IT ALONE! DO NOT dip into it for ANY reason short of saving your life! This is the money you are going to use to keep you out of that refrigerator, do not cheat! Now, how much money will this add to our retirement nest egg? $40 per week, invested at a mere 10% return will result in a sum of, rounded off, $400,000.00!! If this program is begun today, 1 July 2016, for a person 40 years of age, on 1 July 2046, at a humble 10% return, there will be over $400,000 in the account! If we decided at retirement that we were going to live for another 20 years, and we didn’t want to do anything that would diminish our account, we could take over $1700 a month out and NEVER REDUCE THE PRINCIPAL amount! Our entire $400,000 would remain intact! If this program had been begun on 1 July 1986, and the person retired today, having worked for this minimum wage for his entire 30 years, he would be eligible to receive approximately $1200 a month from his Social Security. And he would be living with me in the refrigerator. Now, if we add the $1700 a month from our saving to this, we would now have an income of just less than $3000 a month! What does that do to the refrigerator? Who is living there now? Let’s take this one step further and decide we didn’t like our kids enough to leave them this $400K… so let’s let that balance work down as we live. If we are worried about outliving our money, we can use it to buy an annuity that will pay us as long as we live… even if it’s to 150 years old! Personally, I don’t like this at all… it’s a waste of money… look at it logically. Essentially what we are doing when we do that is we are betting that we are going to live forever… and the annuity company is betting you’re going to die… but they are using YOUR money to bet with! What happens if we and our spouse are both working? Of course, if a person is working, they should be doing this! If the spouse was no more ambitious nor smarter, but just did the minimum as well, can we see what would happen? Just DOUBLE all those numbers… his and hers accounts! Actually, it’s not necessary. If we maintain the lifestyle we have lived for the entire 30 years we were on this program, we could easily withdraw another $1100 a month and never run out of money. NOW, we are at a monthly income of $4000! If we had managed a 401K from employer contributions, we would now be in the range of $4500 to $5000 per month and a far better lifestyle that we had during our working years! These are NOT exaggerated or overblown numbers. How many people work for minimum wage their entire life? Not many… some, for real, but not a lot! For almost EVERYONE, this will be the absolute minimum! Now, what happens if our worker is NOT 40 years old, but only 30 years old? Under the same terms and with the same investment, instead of a nest egg of $400,000, that will jump up to a total of $1,300,000! With this kind of nest egg, one could withdraw interest only, without touching the principal of over $10,800 per month!!! Could we live on that into perpetuity? Even if we decided to stop our program at age 65 and retire then, it would still provide us with an income of over $6400 a month from JUST the interest on the principal! Now, the most important part… what do we spend our $40 a week on to insure we don’t lose all our money? Stocks and bonds? Well, if you are a gambler, if could be done. 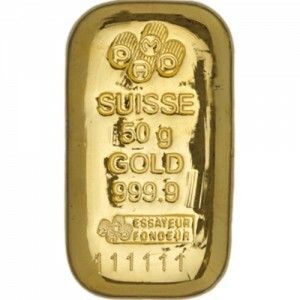 But I don’t like to gamble with my refrigerator money… so, here’s what you do… buy bulk gold and silver! Buy it in gram or ounce sizes. (31 grams per troy ounce)… If you spend over $10,000 on it or if you sell over $10,000 of it at a time, there are government report forms involved. If you deal in less, there is no such reporting required! Further, we have purchased our ingots with AFTER TAX money, so there are no tax ramifications at all. Plus, NO ONE has to know anything about it at all. No one needs know what we have or even where we have it. It is the ULTIMATE preppers choice, is it not? I would begin by keeping my ingots in a safe deposit box in the bank, but eventually, I’d have a safe secreted somewhere within my home. I might even have more than one so I could divide my assets for safety. Before we leave this lesson, what is the history of such investments? In July of 1986, Gold was selling on the spot market for $390 an ounce. Today, 30 years to the day later, that spot price is $1322 an ounce! That is an increase of 339%… or an average of 11.3%. 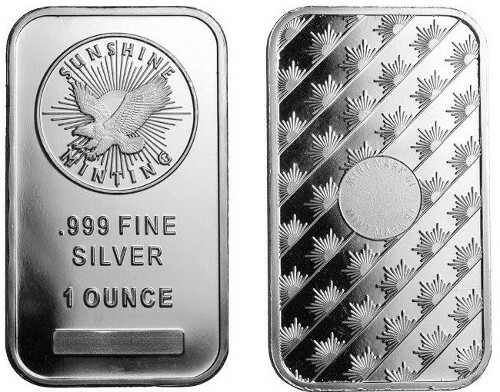 For silver, on 1 July 1986, it sold for $5.12 per troy ounce. Today’s spot price is $18.72. That is an increase of 366% or 12.2% per year! Do I guarantee this will always be the case? Of course not, but it’s NEVER going to be worth less! Will the earth continue to turn if you don’t do this? Yes, I suppose it will. But… that said, I would hate to see any of you living next to me in this refrigerator, just waiting to be old enough to be thrown away!